Providing dependable cargo and freight services you can trust meeting any cargo and freight requirements with reliability and professionalism. Through our forklift services, heavy loads are transported properly and reliably. With professional forklift operators who can get the job done efficiently and conduct proper maintenance for top performance. 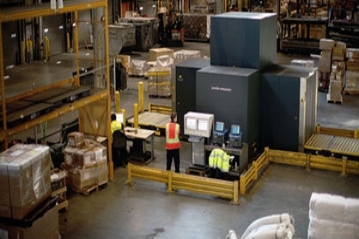 Our FMC Commander high-loader services are provided to load and unload with maximum availability and efficiency. Through its wide range of controls, our personnel have the expertise to get cargo delivered smoothly. We understand the need to keep the skies safe. Our dedicated team ensure there are no threats, contraband or anything harmful in any cargo through our reliable screening system providing the detection and efficiency needed for safe delivery. Through our trucking service we work around the clock to ensure your freight is transported safely. Providing the knowledge, expertise and equipment quickly and reliably.